Action Heating and Air Conditioning offers some of the best and simplest ways to get cozy. Working with HVAC professionals to make your home more comfortable shouldn't be a hassle. That's why, at Action Heating & Air Conditioning, we have built an outstanding team and carefully chosen the best products to give you the unmatched value. As one of the area's premier heating and cooling installers, we'll keep you comfortable with affordable and dependable results. When it comes to the comfort of your home, choosing the right HVAC specialist is crucial to ensuring you get the efficient results and lasting quality you deserve. At Action Heating, we put our extensive experience and dedication to work for you, giving you unrivaled plumbing, heating, and cooling products and services. Our main office is located in Williamsport. Some of the areas we serve include the Williamsport, South Williamsport, Jersey Shore, Lock Haven, Loyalsock, Montoursville, Muncy, Hughesville, Montgomery, and Watsontown areas. If you are unsure if we cover your area and are in need of any of our HVAC services, contact us today for more information. We want you to enjoy your experience with us. That's why we are so committed to delivering courteous customer service while giving you quality cooling services. In our effort to deliver unmatched value to you, we work tirelessly to meet the highest standards of excellence. This allows us to exceed your expectations while providing thorough, dependable workmanship that you can rely on far into the future. *Loans provided by EnerBank USA, Member FDIC, (1245 Brickyard Rd., Suite 600, Salt Lake City, UT 84106) on approved credit, for a limited time. Repayment terms vary from 24 to 132 months. 4.99% fixed APR. Minimum loan amounts apply. The first monthly payment will be due 30 days after the loan closes. 12 Month Same-As-Cash loan interest waived if repaid in 365 days. 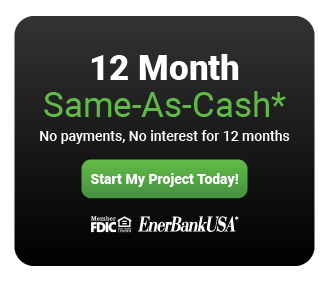 12 Month Same-As-Cash loan fixed APR, effective as of March 1, 2018, subject to change. 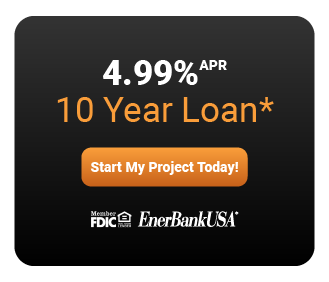 12 Month Same-As-Cash loan interest starts accruing when the loan closes.